Listed in order of arrival to the lab. 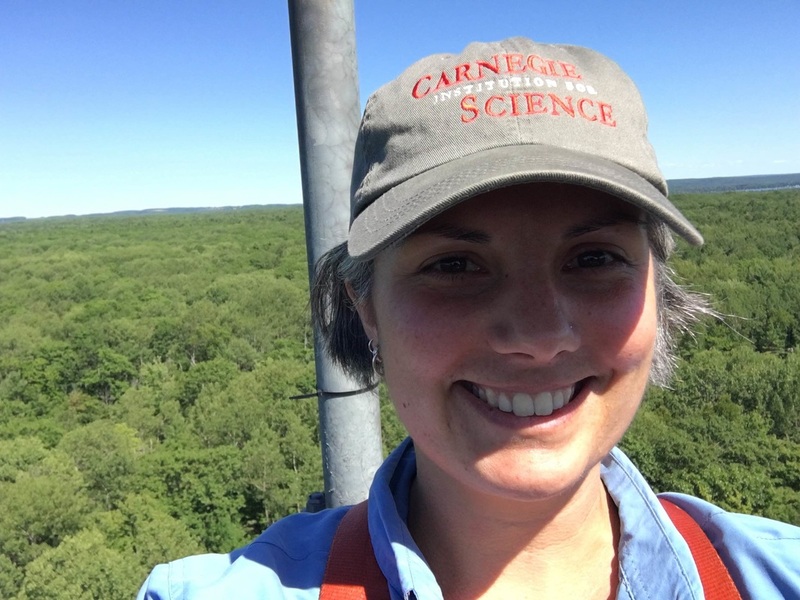 I'm an ecogeographer with interests in remote sensing, GIS, and Earth system modeling and an assistant professor in the Department of Geography, Environment, and Spatial Sciences at MSU. I am also an affiliated faculty member in the interdisciplinary program in ecology, evolutionary biology, and behavior (EEBB) and the environmental science and policy program (ESPP). In addition to my time in academia, I've worked as an urban forester in New York City, a restoration ecologist and GIS tech in San Francisco, and on a number of field projects around the US and abroad. When I'm not being a scientist I still spend a lot of time thinking about plants, as well as riding bicycles, crafting, and hanging out with my family. ﻿Ryan received B.S. degrees in Kinesiology and Environmental Geosciences from Michigan State University in 2007 and 2012, respectively. Following his first degree, he served in the U.S. Coast Guard (USCG) in Depoe Bay, Oregon. In 2010, Ryan came back to school to study climate change and its effects on the planet, especially wildlife. 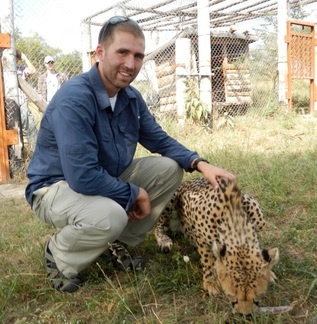 Ryan’s research focuses on detecting and predicting impacts of climate change and land use / land cover change on wildlife habitats in Serengeti National park through the use of remote sensing and modeling. In his spare time, Ryan enjoys cycling (both riding and building bikes), photography, and reading. Aaron received a B.S. in Natural Resource Conservation and a certificate in GIS Science and Technologies from the University of Montana’s College of Forestry in 2015. 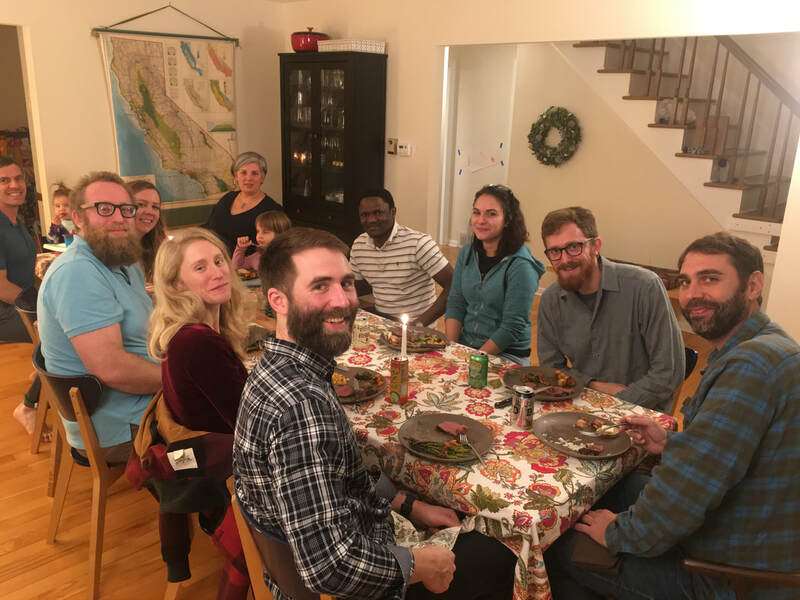 During and following his undergraduate work, he worked on vegetation monitoring projects in the Northern Rockies and as a cartographer for an international NGO. 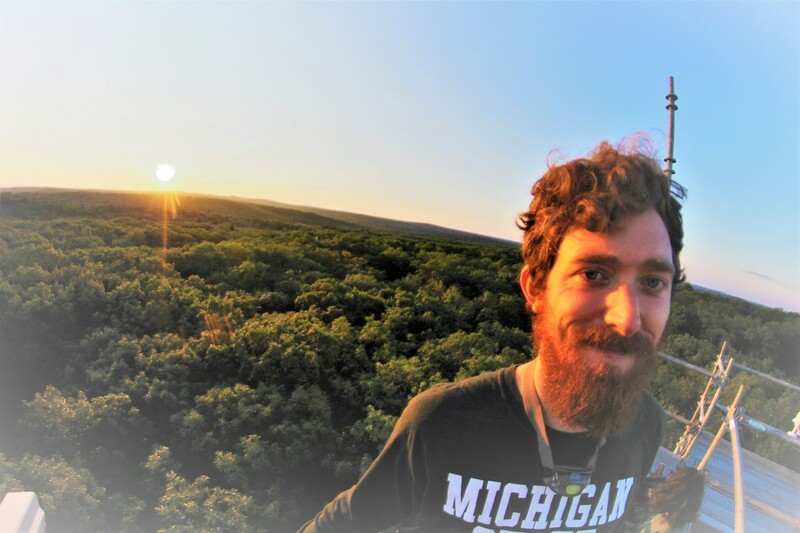 Aaron’s current research examines the influences of environmental and anthropogenic variables on closed-canopy forests through the use of imaging spectroscopy and LiDAR remote sensing, spatial statistics, ecological modeling, and field sampling. When he is not writing code or sampling forest canopies, he is usually on his bicycle, in the woods, or playing guitar a bit too loud. Gloria received her B.S. degree in Environmental Science from the University of Virginia in 2015. She is very interested in working with spatial data and remote sensing techniques. 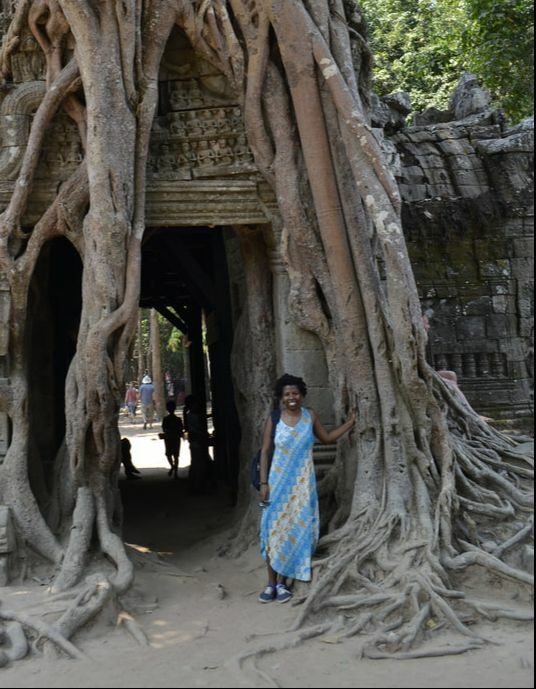 In the past, she has worked with LiDAR data, interned for an international NGO and a research institute using GIS products to analyze terrestrial ecosystems. Gloria’s research at MSU focuses on looking at landscape scale phenology in East Africa using Landsat 8 imagery. After graduating, she hopes to work for an NGO or non-profit organization which will allow her to utilize her GIS skills and travel. Gloria is an amateur photographer and hopes to visit every country in the world. 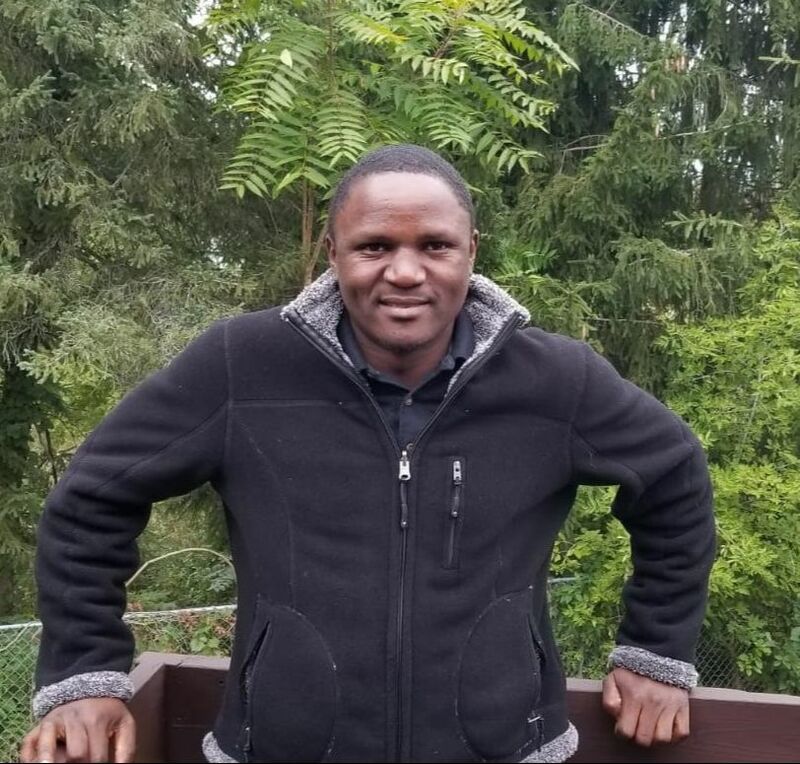 Donald received B.S in Environmental Studies & Community Development from Kenyatta University -Kenya and M.S in Geospatial Science from University of North Alabama in 2013 and 2018 respectively. He held Project Management Associate and Ag. Nursery Manager positions at Komaza until May 2016 and interned at Lawrenceburg Utility System’s GIS department in Summer 2018. Donald’s research interests include remote sensing, Earth system modeling and GIS applications to nature-society interactions. He has previously used remote sensing to analyze spatiotemporal occurrence of drought in Kenya. Donald’s current research examines past and future carbon cycle in Michigan’s Kalamazoo River Watershed. He’ll always find something to laugh about – isn’t laughter the best medicine? 2018 was another exciting year with lots of new people and great accomplishments. This year, since the basement climbing wall is up, folks got to test their climbing skills against the kiddos. Including (L to R): Nathan, Marigold, David, Lynn, Morgan, Kyla, Hazel, Ryan, Donald, Gabriela, Aaron, and Paul. 2017 has been a roller coaster of a year, but with many great accomplishments by our group. We had a great time celebrating, playing with toddler toys, and eating lots and lots. Including (L to R): Logan, Gloria, Ryan, Lynn, Morgan, Kyla, baby Marigold, Nathan, Hazel, Cadi, Brad, Aaron, Marielle, Heather, and David.